Intel's master plan involves replacing local storage with Optane, and putting "bulk storage" SSDs into the cloud. Intel plans to hit the hard drive harder with its one-two punch of Optane and NAND SSDs this year: The goal is to knock local storage entirely out of the PC, and into the cloud. Intel certainly has plans for its SSD business, including adding 1TB and even 2TB capacity points to products like its 760P SSD. But so does everyone else. The more interesting question is what Intel will do with its nearly unique Optane technology, and how it will convince users that it’s worth the investment. Optane occupies a unique niche between a hard drive and DRAM, and originally served as a caching technology for hard drives or SSDs. 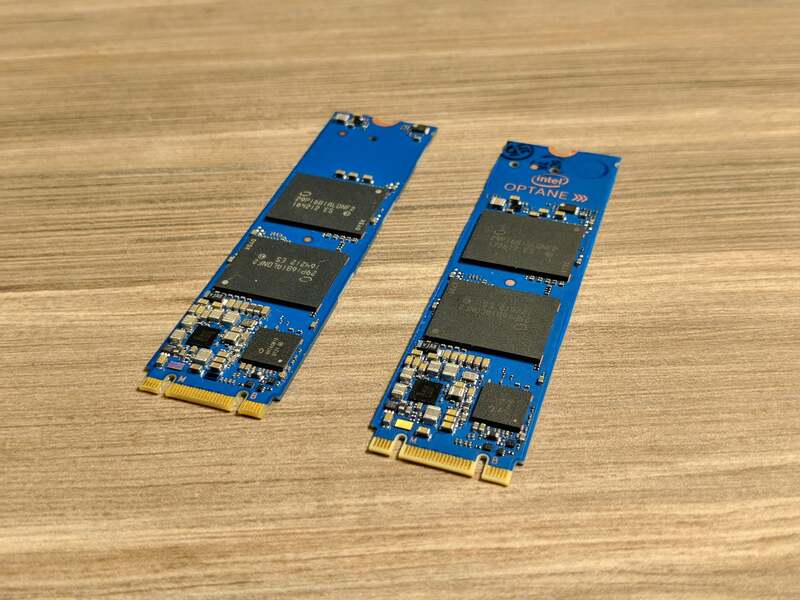 The first Optane memory gave way to larger, bootable Optane-powered SSDs like the 900P SSD, at 280GB and 480GB capacities. Quick SSDs have become a preferred upgrade for notebook PCs, but Intel has yet to make Optane mainstream. 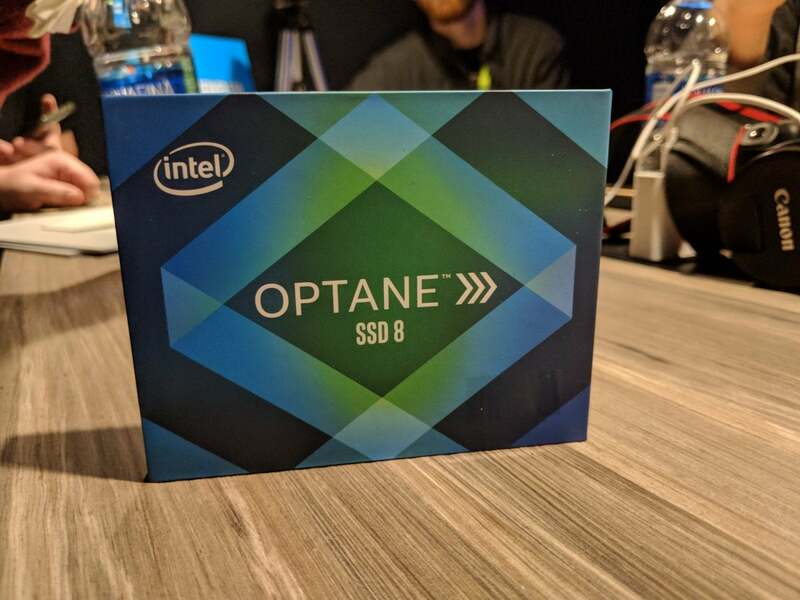 Intel hopes to begin changing that with the launch of products like the Optane 800P, a rather small 58GB/118GB M.2 Optane SSD announced at CES. It will begin shipping this month, according to Rob Crooke, who oversees nonvolatile storage products for Intel. In the future, Intel could even combine Optane memory and SSD. This year, Intel will release Optane within a DRAM form factor for the data center, Crooke said, a signal that Optane as a memory technology will eventually make its way in to client PCs. Why this matters: Fast (but expensive) Optane memory improves overall system performance, which is becoming more critical as microprocessors top out on clock speed. It's an edge Intel can maintain over chief rival AMD, which lacks competing technology. If Intel manages to tie its chipsets, SSDs, and Optane closer together, you’ll be buying more “Intel Inside” than ever before, and may even be more reluctant to buy components from other vendors. The only question that we have—and that Intel declined to answer—is how Optane will interact with the Spectre vulnerability mitigations, which impact storage. On the right is Intel’s new Optane 800P SSD next to a Optane Memory module. Part of Intel’s Optane’s advantage is that it has no direct competitor, which gives Intel some flexibility on how quickly it needs to move forward. 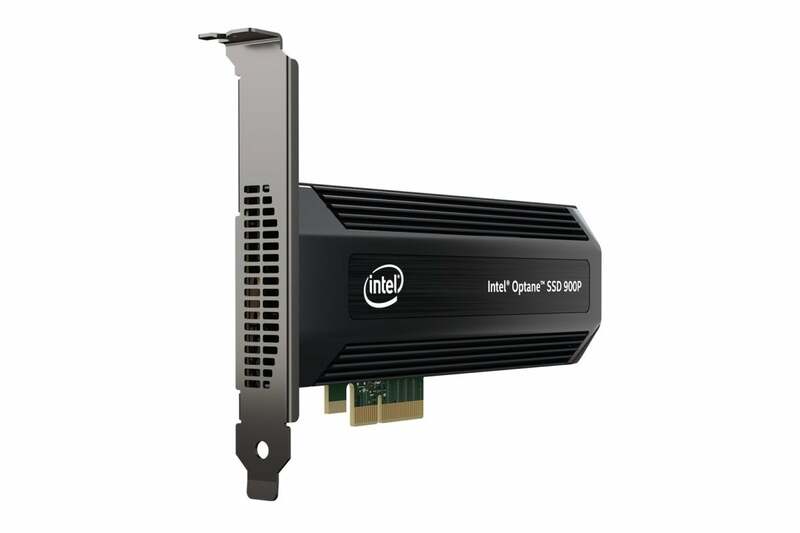 Even after Intel and Micron jointly developed 3D XPoint technology, which Intel branded as Optane, Micron hasn’t yet released its own 3D XPoint consumer products. That still leaves Intel plenty to do to improve its SSD and Optane technology, Crooke said. “You’ll see us driving Optane technology to be faster, and closer, and lower-power, and higher-performance, closer to the CPU—and you’ll see us driving 3D NAND SSDs to be bigger and denser and smaller and even removable over time,” Crooke said in an interview. Intel’s 900P uses a PCi Express interface for increased performance. One of the tricky things about Optane is that it can be used as a bootable drive, as with the 900P or even the 800P. But even at 118GB, the 800P probably is too small for most laptop users to consider. Further off, Intel may eventually bring Optane memory to client PCs as a supplement to traditional DRAM. Though non-volatile Optane memory acts like flash, storing data without active power, it’s slower than DRAM. Optane in a DRAM form factor—Optane DIMMs, if you will—will appear in the server market later this year. Eventually, it could migrate downward to PCs. “You could think of the enthusiast or workstation market taking advantage of that,” Crooke said. Intel’s end goal, however, is to connect PCs directly to the cloud. The only local storage on a PC would be an Optane drive, “caching” the most frequently used data directly on the device. (We already have a version of this on our PCs today, with a OneDrive On Demand “folder” that Windows 10 PC users can use to save and load data from the cloud.) Hard drives? Nope. Eventually, Crooke said, hard drives will be replaced. Here's how Intel's cloud-connected PC vision works: Connecting to storage in the cloud via 5G has roughly the performance of a SATA-based hard drive, Crooke said. “And so if you can put Optane in front of a SATA hard drive, with good performance, in theory you could put that hard drive in the cloud,” he said. Intel’s cloud-connected future assumes pervasive 5G connections—but that’s one angle Intel’s modem business is working on. Right now, Intel’s cloud-connected PC is little more than a concept, since 5G technology isn’t expected to be deployed until 2020. 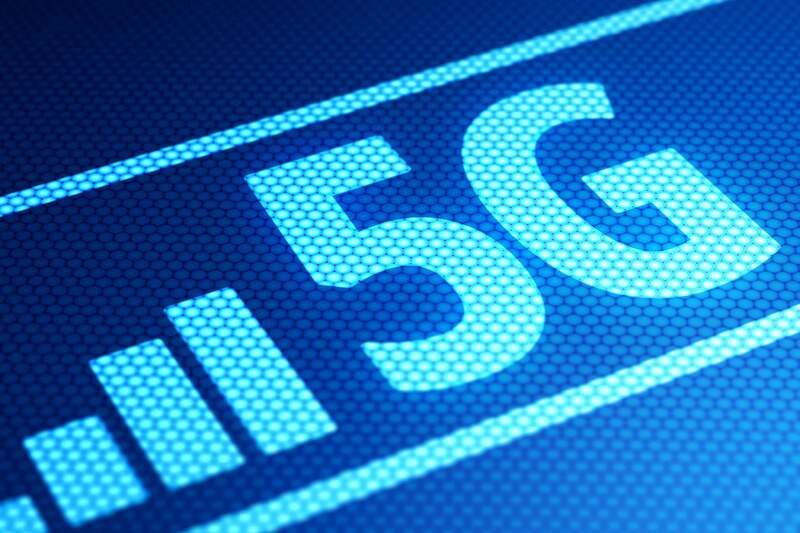 Users and PC makers alike would have to be confident that end users would be able to tap into 5G wireless virtually anywhere, Crooke said. “There’s still a ways ago, but you can see where this is going, from a technological point,” Crooke said. And that's something that Intel would like to see more of.